The Federal Government has approached the Court of Appeal in Abuja to file an appeal against the judgment of the Code of Conduct Tribunal CCT that discharged and acquitted Senate President Bukola Saraki of 18 counts of false asset declaration and other related offences. The tribunal had on June 14th, dismissed the case on the grounds that the prosecution team did not provide enough evidence to substantiate its claims that Saraki did not declare his assets when he was governor of Kwara state. In the notice of appeal filed on the 20th of June and signed by the lead prosecuting counsel, Rotimi Jacobs and an Assistant Chief State Counsel in the Federal Ministry of Justice, Pius Akutah, the Federal Government argued that the judgment is unwarranted, unreasonable and against the weight of evidence. “The judgment of the lower tribunal is unwarranted, unreasonable and against the weight of evidence. It is unconstitutional and without jurisdiction. By the provisions of paragraphs 11 (2), (3) and (13) of Part 1, 5th Schedule to the Constitution of the Federal Republic of Nigeria, 1999 (as amended), once the Code of Conduct form filled by the public officer is investigated and found to be false or that some assets are beyond the legitimate income of the public officer or that the assets were acquired by means of corrupt practices, the public officer concerned is deemed to have breached the Code of Conduct and it is for him to show to the tribunal that there is no infraction in the form. The honourable tribunal wrongly placed the onus of proof on the prosecution contrary to paragraphs 11 (2), (3) and (13) of Part 1, 5th Schedule to the Constitution of the Federal Republic of Nigeria, 1999 (as amended). The Constitution of the Federal Republic of Nigeria, 1999 (as amended) clearly excluded the presumption of innocence on the allegation of infraction of the Code of Conduct by public officers and the Tribunal wrongly applied the presumption of innocence contrary to the constitutional requirement. The tribunal’s decision is unconstitutional and without jurisdiction. The learned members of the tribunal, in their consideration of no-case submission, failed in their duty to look at the offences charged, the ingredients of the offence and the evidence adduced by the prosecution before upholding the respondent’s no-case submission. The learned members of the tribunal failed to analyse and evaluate the evidence of prosecution witnesses before reaching their conclusion that there is no case made out against the respondent. The tribunal failed in its duty to point out the material evidence adduced by the prosecution witnesses touching the ingredients of the offence charged that was discredited by the respondent’s counsel during cross-examination. The learned members of the tribunal failed to consider and apply the decision of the Supreme Court in Daboh v State (1977) 5 SC 197 at 315, where the Supreme Court held that if the submission is based on discredited evidence, such discredited evidence must be apparent on the face of the record and that if such is not apparent, then the submission is bound to fail. The learned members of the tribunal failed to point out any apparent discredited evidence on the face of the record before it upheld the submission of a no case. The tribunal failed in its duty to point out the essential ingredients of the offences charged and the evidence adduced by the prosecution to show that the available evidence could not establish the ingredients of the offences. 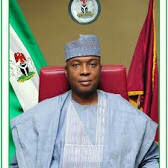 The tribunal failed to apply the provisions of sections 302 and 303 of the Administration of Criminal Justice Act, 2015 in upholding the no-case submission made by the respondent.” In the second grounds, the appellant held that in upholding the no-case submission, the tribunal ought to have only discharged Saraki, but wrongfully went ahead to discharge and acquit the Senate President. The Federal government also faulted claims by the CCT that the Economic and Financial Crimes Commission, which investigated the case against Saraki, failed to invite him for interrogation before charging him. It contended that the CCT’s finding was against the evidence adduced by the prosecution. 0 Comment to "FG appeals Saraki's acquittal by CCT"